If you are considering an adventure in China as an ESL (English Second Language) Teacher, then make sure you do it legitimately. If done right, it can be an extremely enriching experience, where you will grow as an individual, have an impact on others, and explore the oriental culture and flavours! At GoAbroad, we have assisted many Adventurers on their legally approved journey to embrace a rewarding Gap-Year and explore other cultures to teach in countries such as South Korea, Thailand and China. It is however very important to be aware of certain pitfalls, as stories are coming out of unethical individuals or agencies that have exploited South Africans. Take the opportunity to educate yourself in what is required to work legally. Carte Blanche featured a story on 50 South Africans that have been detained or deported, after they went to China to Teach English, and were found to be working illegally. Most of these teachers went abroad on a Tourist or Student visas. Some even left South Africa without a job contract, which is not advisable. It is an extremely unfortunate story. In the majority of the countries in the world, it would be illegal to work with such a visa. Just think of TV programmes such as Border Security for New Zealand, Australia and Canada. These programs highlight the importance of ensuring the correct working documents to abide by the countries labour laws. Do general research on the country and different cities. Read blogs and watch YouTube videos of people that have been there. Connect with the expat community. Do they have a solid track record? How long have they been recruiting and placing in this industry? Do they have a proper website? If possible, ask to speak to someone that they recently placed, to get a first-hand account of the Teacher’s experience. Find out if the school is legally registered as per the national Chinese regulations. Also do research on the city and school where you are being placed. Ideally also ask for photos of your apartment beforehand. It is shocking to hear that some of the ESL Teacher candidates went to China within a week of hearing of a post. The Z-visa process usually takes about 2 months and several documents are required as part of the work permit application. It is not advisable to travel to China without a written job offer. It seems some agencies promise to provide TEFL training and set up interviews upon arrival in China. This is however not ideal. The School or University where you will teach in China, will apply on your behalf for the work permit. You will then receive a Notification letter of Foreigner’s Work Permit, which is valid for 3 months. 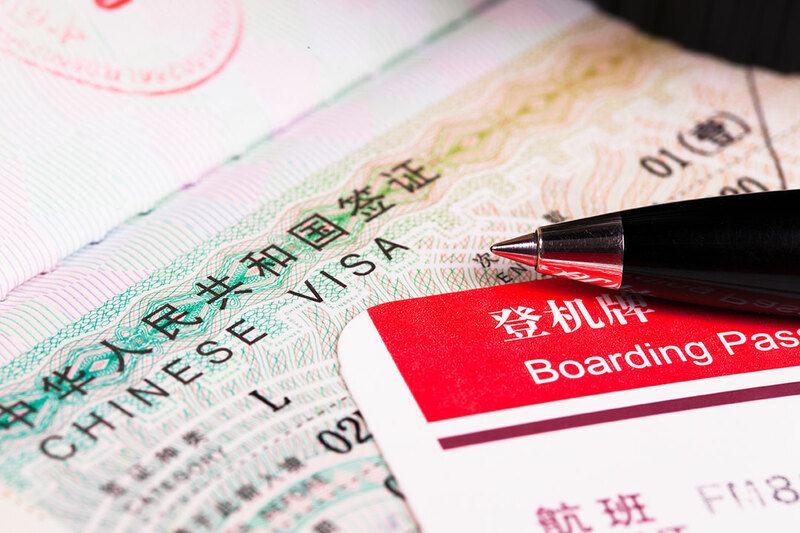 This document is required to apply for your Z-visa (working visa) at the Chinese Embassy. The School will then assist you within 30 days upon arrival in China, to obtain your Foreigner’s Work Permit and Residence Permit. The Chinese Embassy sent a written response to Carte Blanche, wherein it welcomes South African’s keen on Teaching English in China. They do however highlight the importance of making sure that you abide by the entry and exit laws of the country. By all means – don’t bury your adventurous spirit – but be a responsible expatriate and apply using the correct channels. At GoAbroad, we go out of our way to assist you with finding opportunities that suit your profile. Teaching English in China is a wonderful way to save money, get international exposure and explore Asia. Do not pay money upfront to an agency, unless it is a very reputable company and the reasons for the funds make sense. You will have normal expenses for your work permit and visa application for things like photos, medical checks etc., but these payments aren’t made to an agency directly. If it sounds too good to be true, it likely is. Get an idea of what typical salaries are. If it is significantly higher, ask yourself why this is the case? Research ESL websites to get an idea of what the going rate is. Don’t accept an offer if you didn’t have a face-to-face, WeChat or Skype video interview, be it with the Chinese based placement company or the school. Scammers usually only do things in writing and will not have an actual interview as part of their process. Avoid advertisements that say: ‘no degree required’. In the past, it was relatively easy to get an appointment without a formal degree, but these days, candidates even need to get degrees legalised/authenticated, as part of the work permit application process for Teaching in China. If the orient is calling you, then feel free to visit our website at www.goabroad.co.za for various opportunities in places like China, South Korea, Vietnam and Thailand. Our team of specialist recruiters are here to assist you every step of the way – legitimately!